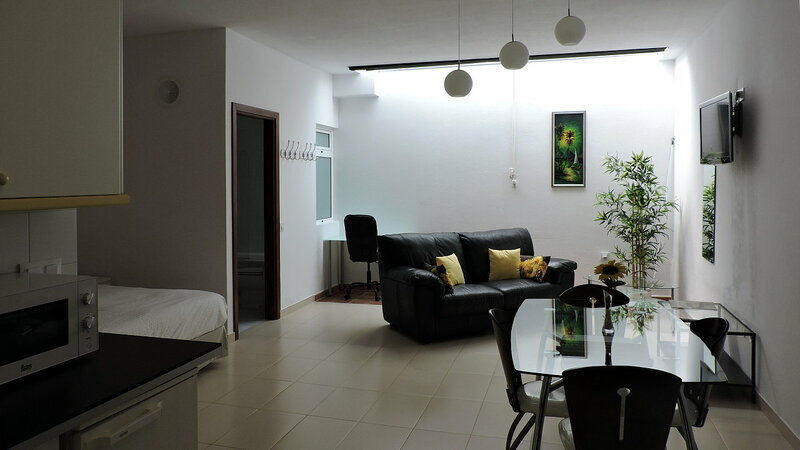 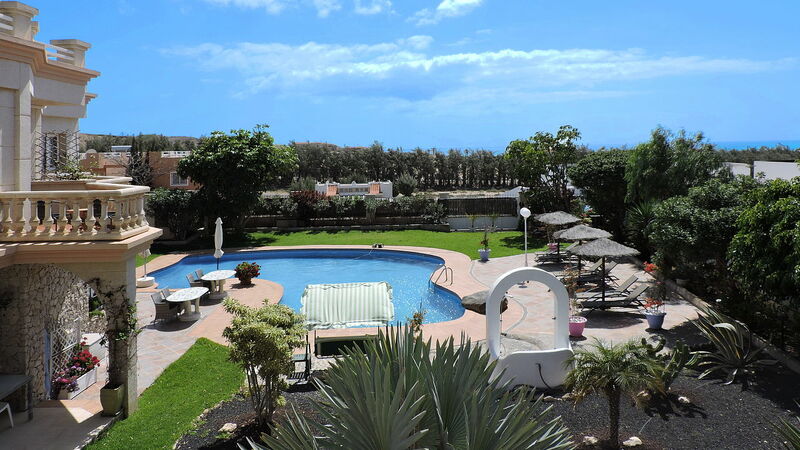 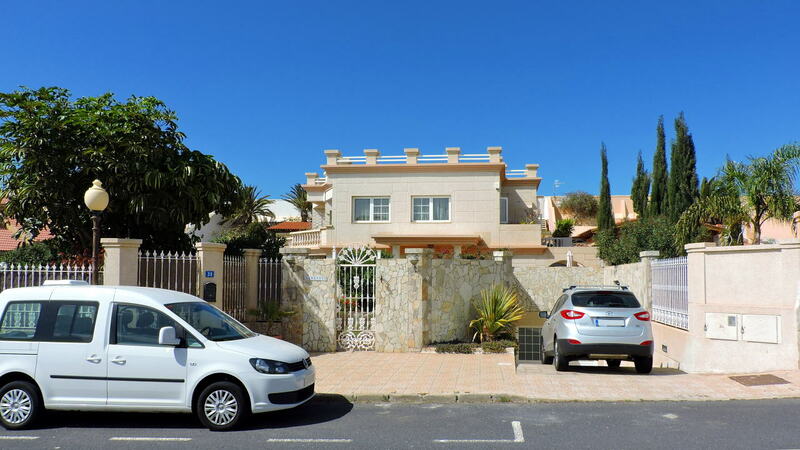 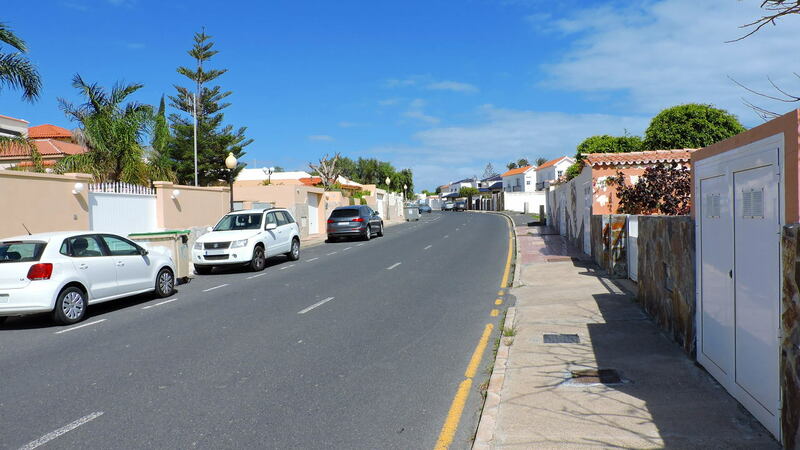 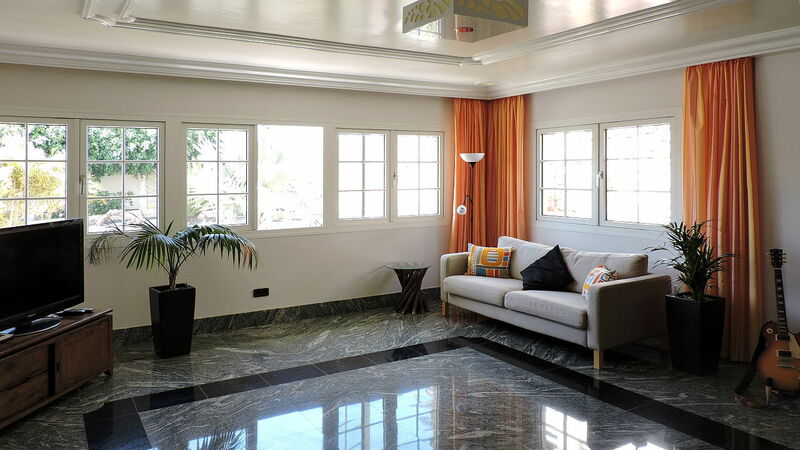 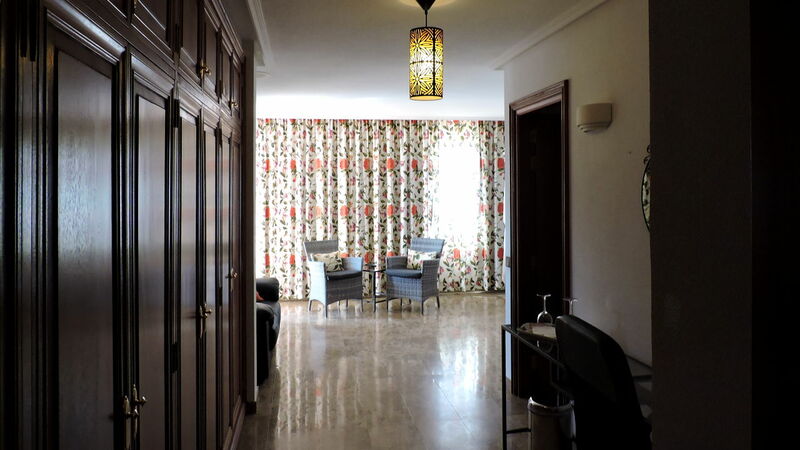 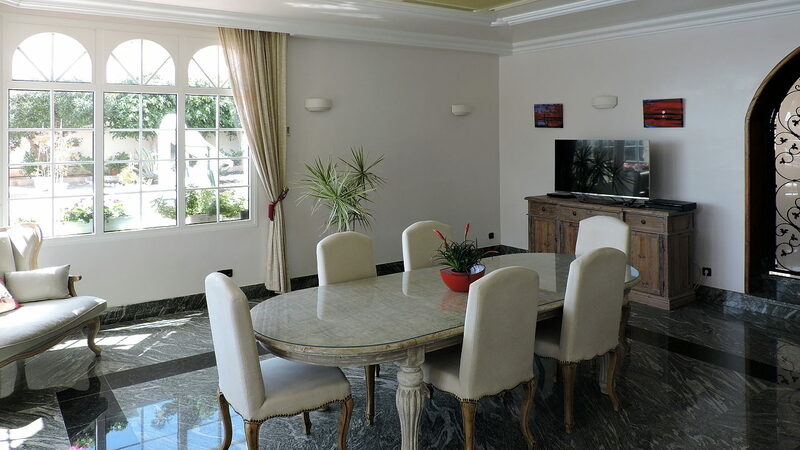 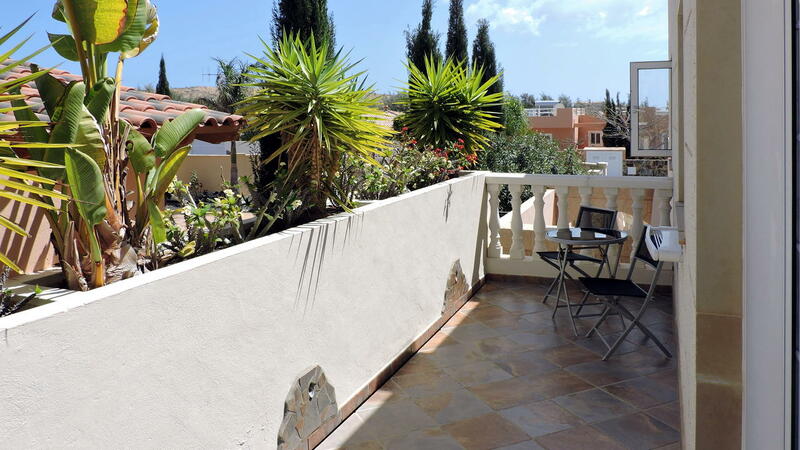 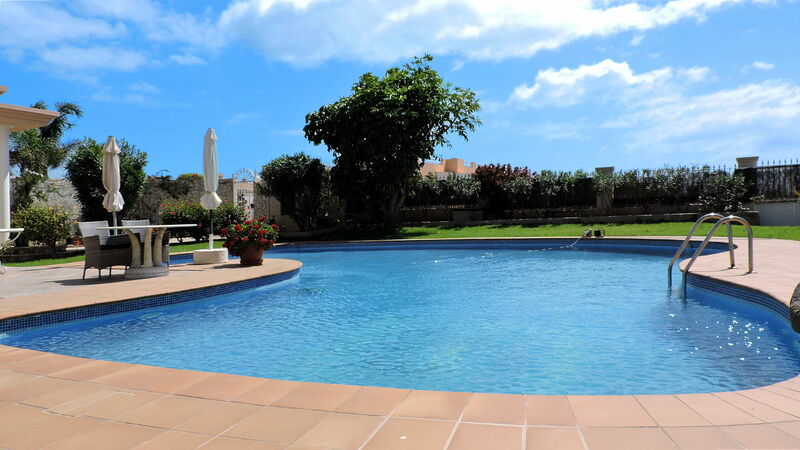 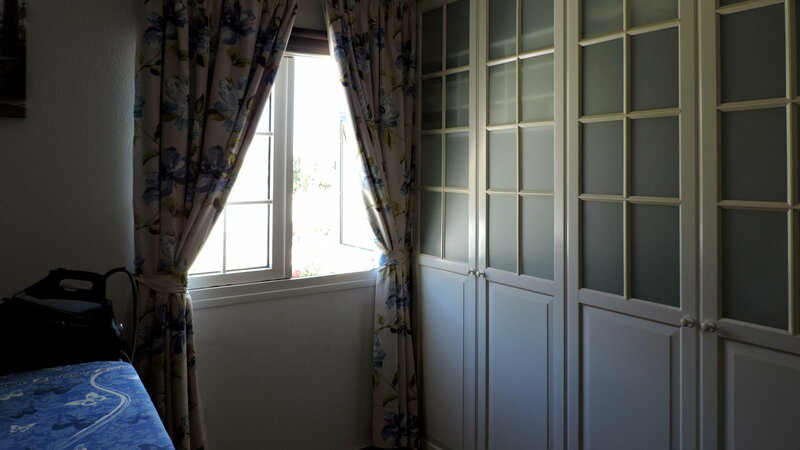 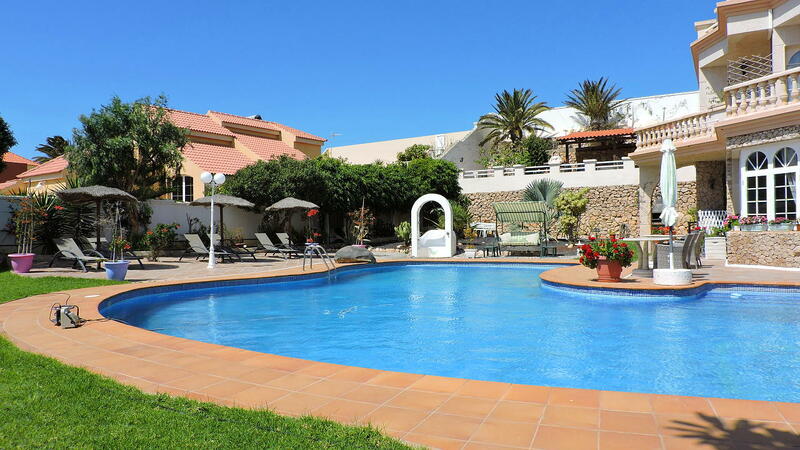 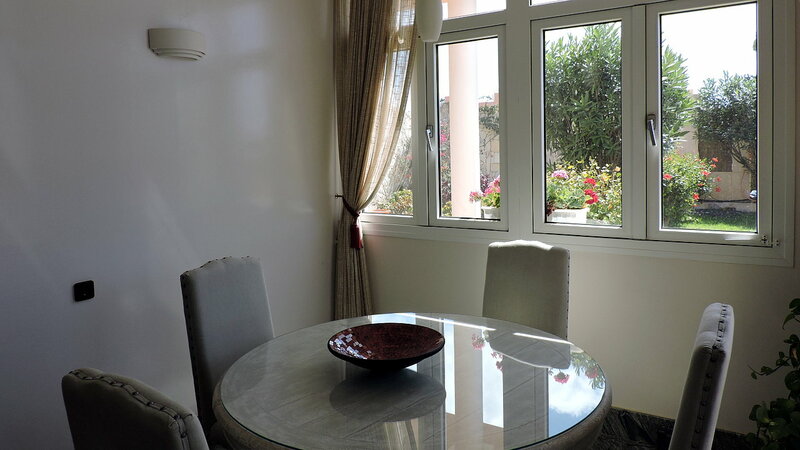 The villa is located in a residential area of Costa Calma, in a peaceful position with sea views. 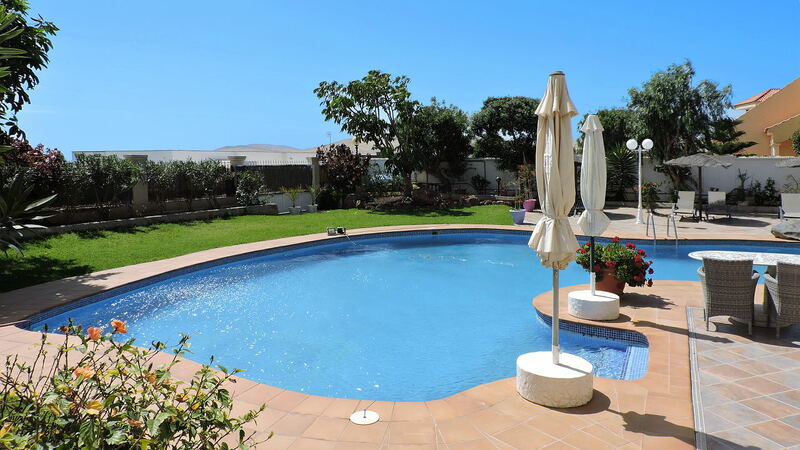 The well-kept garden has a large heated pool with 24 solar panels, a BBQ area and there is also a 30 square meters dwelling to be completed. 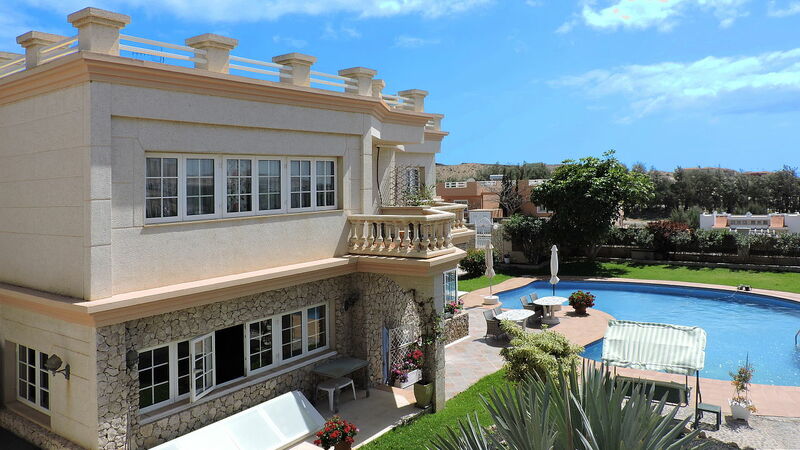 The house is well distributed on three levels with wide spaces and large bedrooms of 60 square meters. 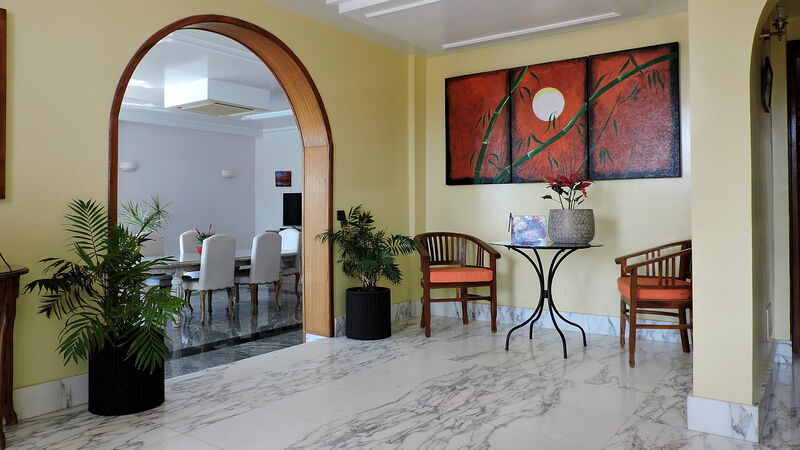 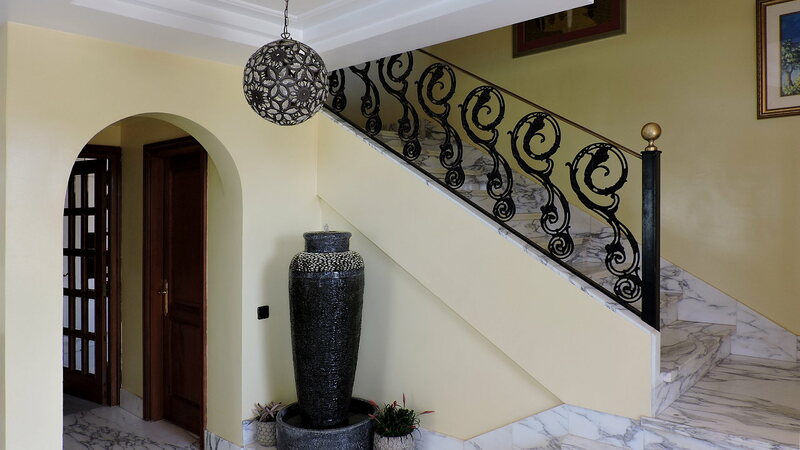 On the ground floor, there is a large entrance hall with stairs leading to the first floor, two great lounges, a roomy kitchen and a bathroom. 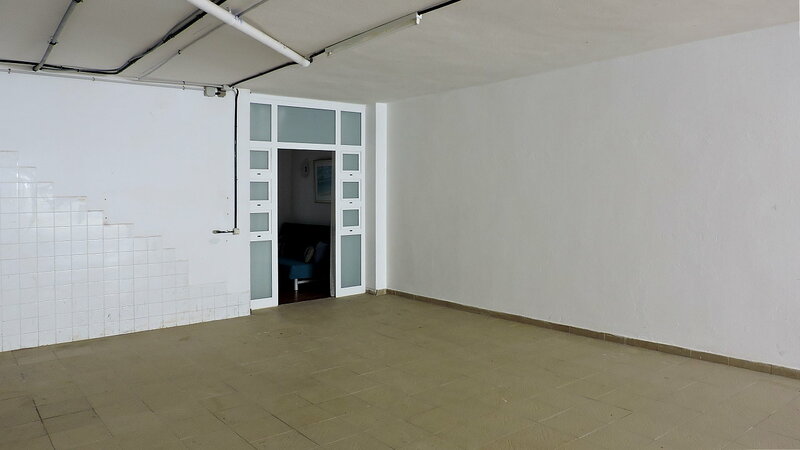 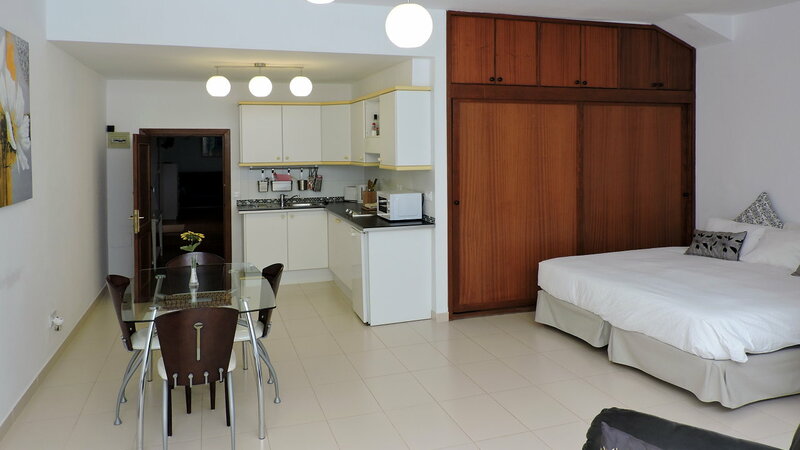 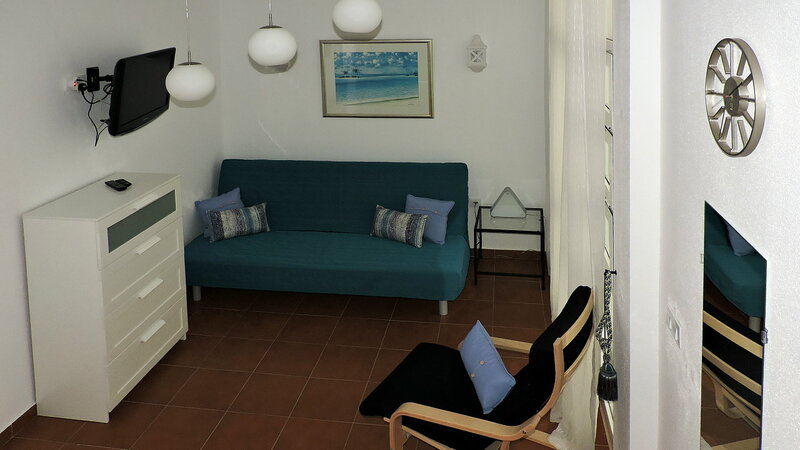 On the basement, there is an 80 sqm apartment consisting of a living room with a sofa-bed, a spacious lounge-kitchen with a double bed, a bathroom and a patio. 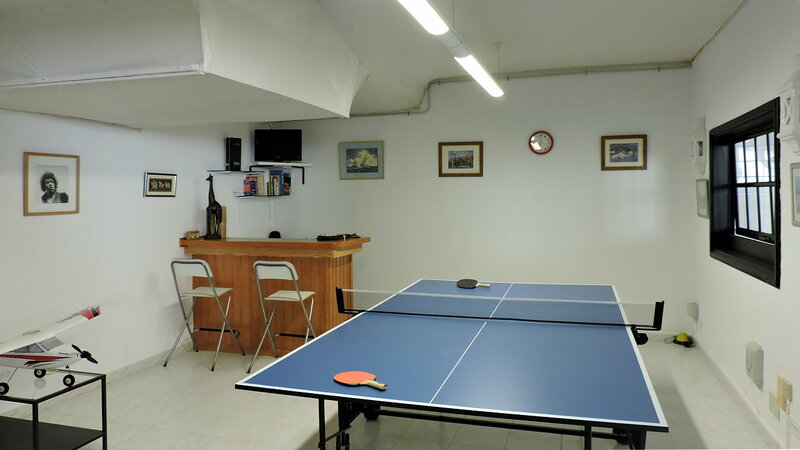 There is also a garage that can accommodate up to 6 cars and a ping-pong lounge with a bar area. 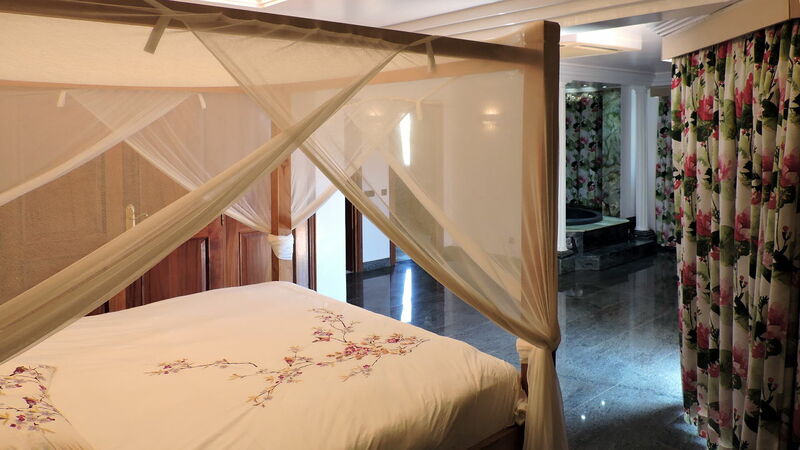 On the first floor, there are four bedrooms, three of which are suites with marble bathrooms, fitted wardrobes and a terrace. 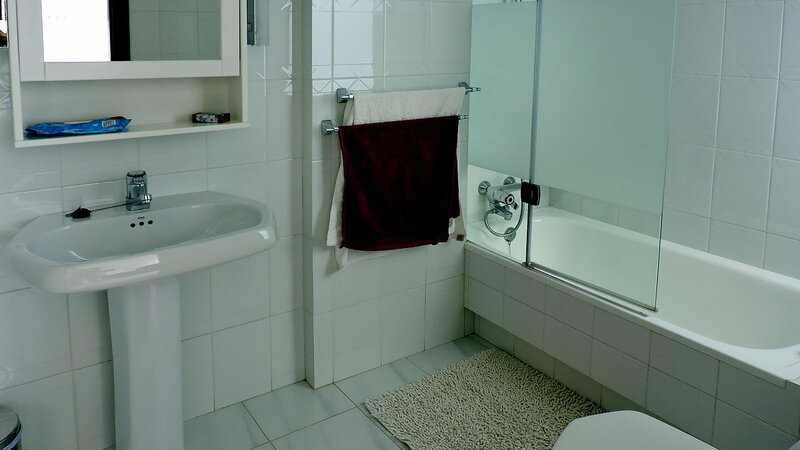 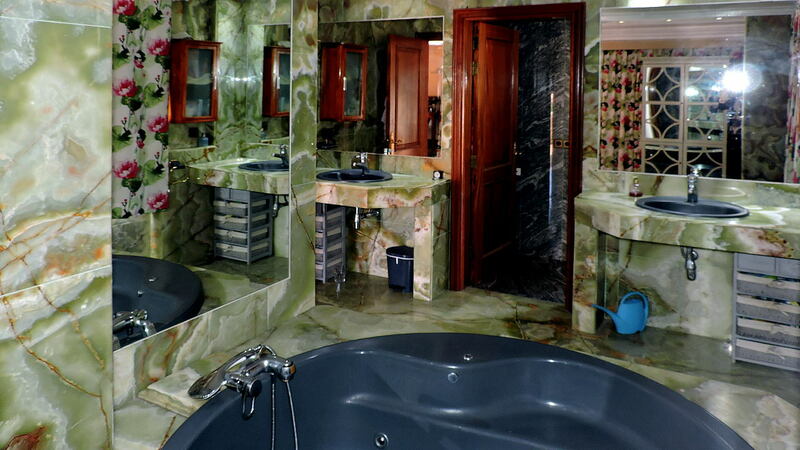 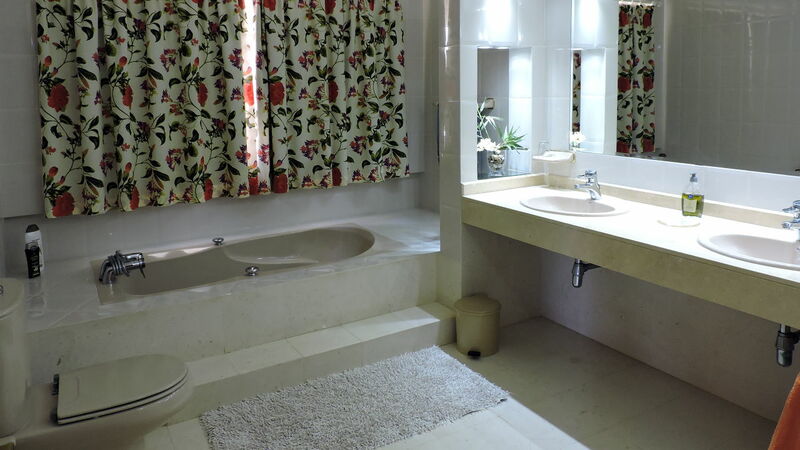 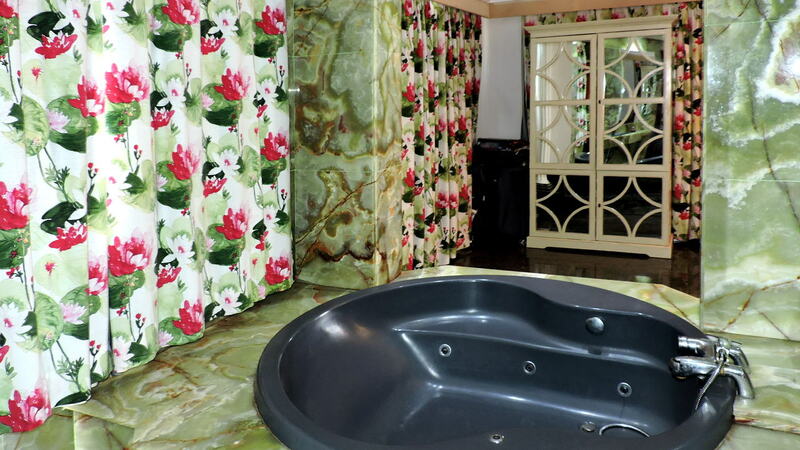 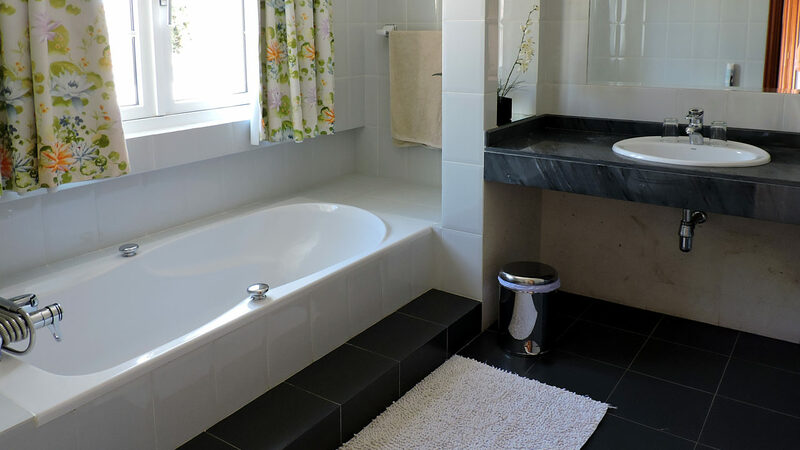 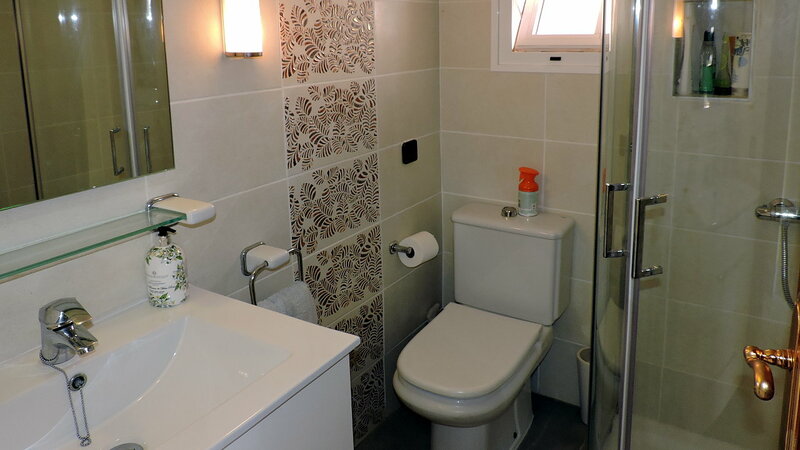 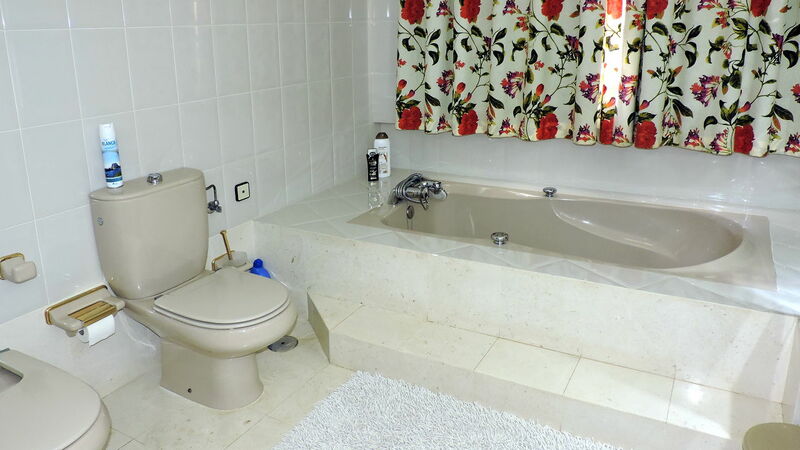 One room has a jacuzzi and green onyx finishes throughout the bathroom. 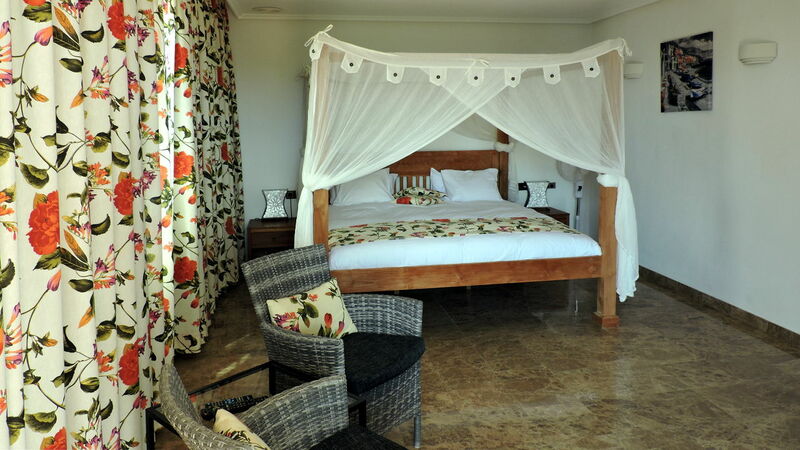 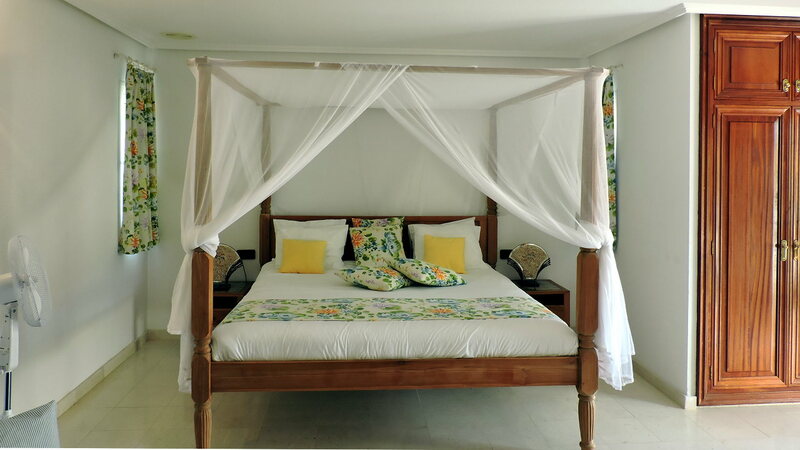 Two of the bedrooms have sea views and overlook the pool. 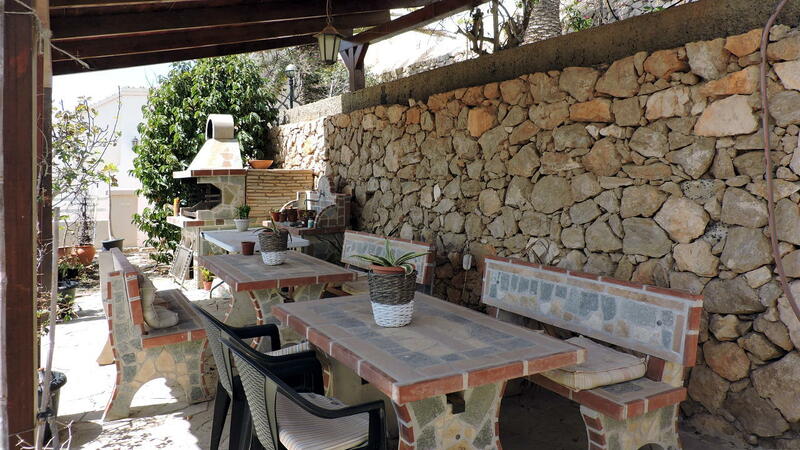 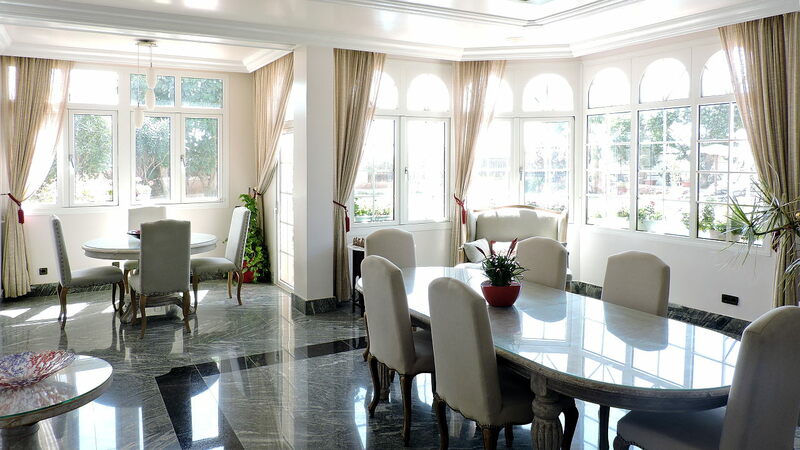 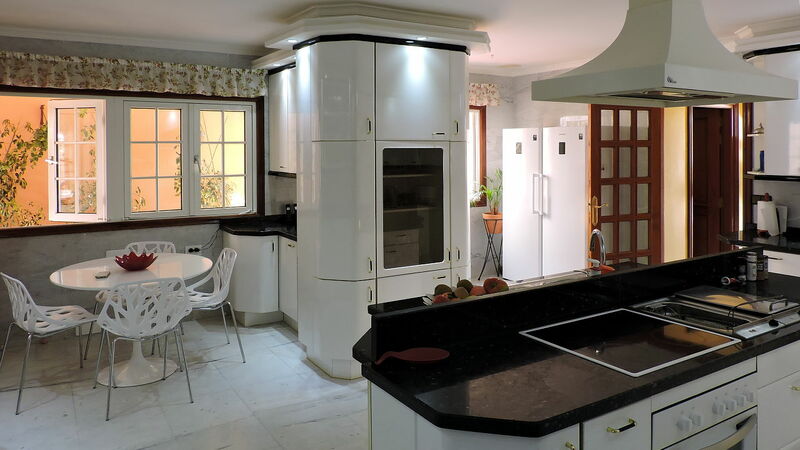 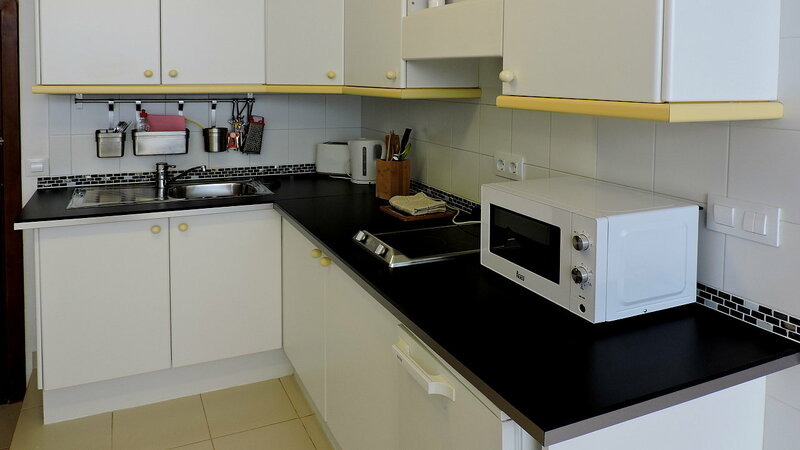 The villa is finished with high-quality materials, marble floors, wrought iron stairs, solid wood doors and solar thermal panels; the main kitchen is equipped with professional ovens and a fryer. 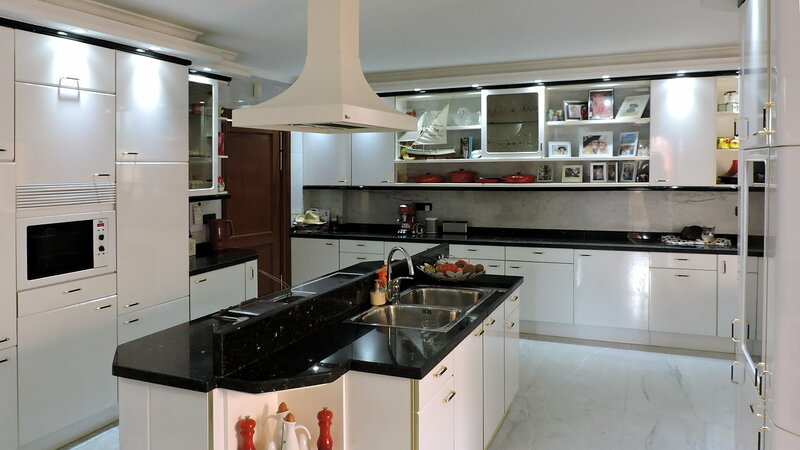 The surface of the plot is 1367 square meters, while the house is 625 square meters. 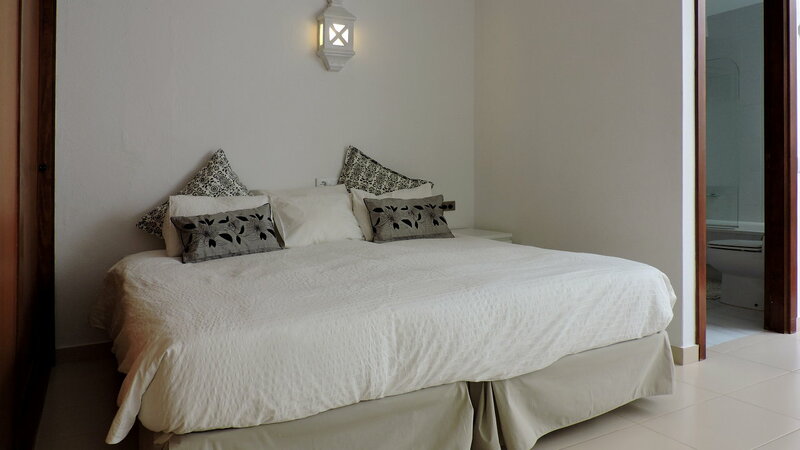 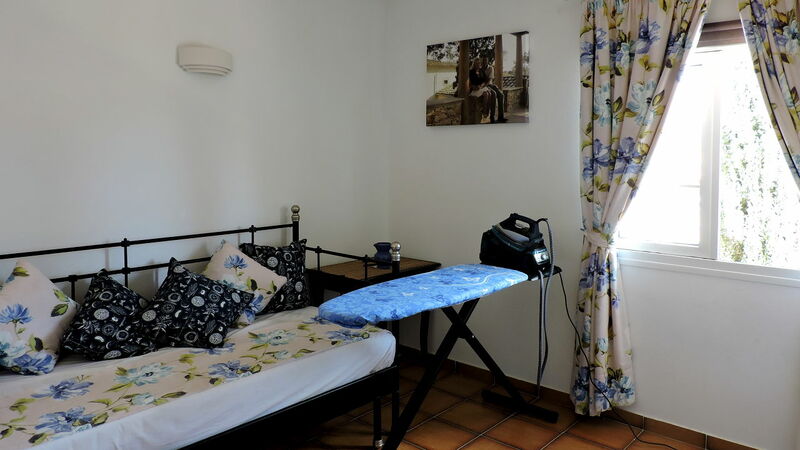 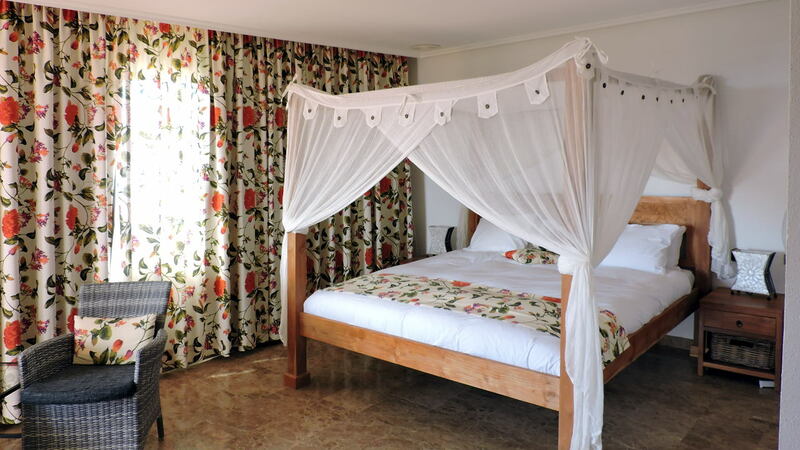 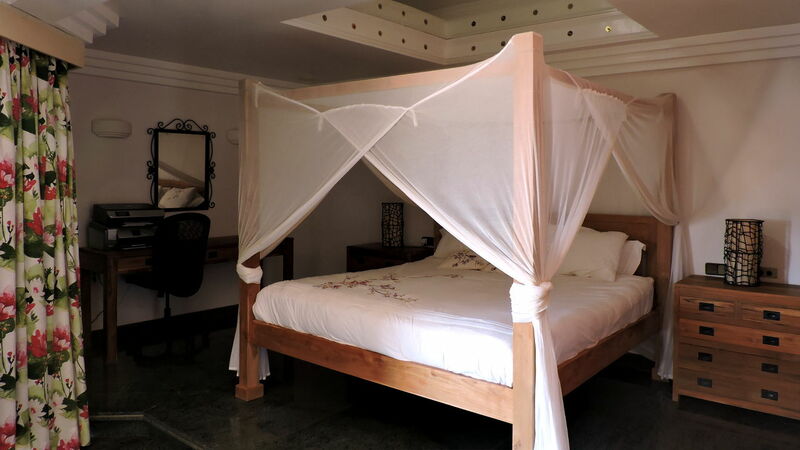 The villa is currently used as bed & breakfast and has a much higher rating than the rest of Costa Calma residential facilities.